DetailXPerts is a car wash in Greensboro that offers a superior, one-of-a-kind steam methodology for cleaning all types of vehicles. Ever since David Brown started working, all he thought about was how to realize his dream of launching his own business. Having worked as a driver before he became a store manager and sales representative for Sherwin Williams Paints, this all-around family guy knew that all his hard work will pay off someday. So he strived to save for a business opportunity that would change his life for the better. Once he had saved enough, he evaluated all possible options and realigned his principles. He thought of his weaknesses and discovered that he needs more patience, open-mindedness, and understanding to get his business going. True enough, he welcomed a pool of opportunities that came his way. He was looking for that perfect business opportunity with the right balance of profit, flexibility and service excellence. And then he learned of DetailXPerts and fell in love with the way they work. DetailXPerts has continuously brought car wash and auto detailing to a whole new level. On top of that, David is impressed with how good of a support system the DetailXPerts family is. A team player, he feels secure and on top of his game, along with a group of people who has set their eyes on the prize. He realized he’s now a part of a community who celebrates the success of others. 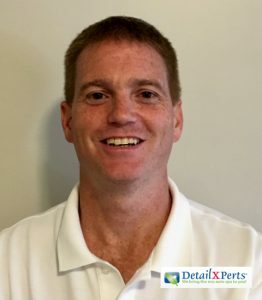 The DetailXPerts brand of integrity is always on full display as the franchise emphasizes on their core principles of hard work, perseverance and service excellence. Aside from car wash and auto detailing, this car wash in Greensboro also offers mobile truck wash, professional car detailing, washouts and fleet cleaning. They are equipped with trained professionals who took seminar sessions on eco-friendly mechanisms and proper handling of car cleanliness issues. For inquiries and special rates, call them at 336-365-1650 and schedule an appointment right away!